Ranker is a website that compiles lists while also letting readers vote on each entry to help determine which one is best, worst, or most likely to ignite violent debate in online message boards. Voting and reranking eventually expires, thus cementing a list as the be-all, end-all document of that particular topic. 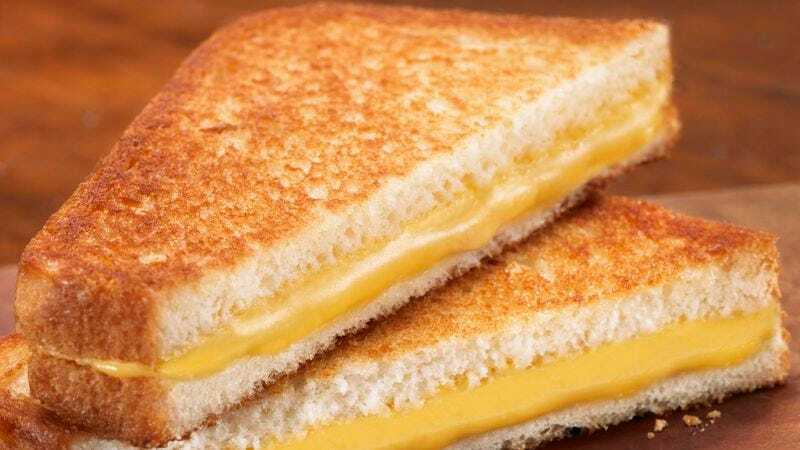 In celebration of the beginning of April, National Grilled Cheese Month, let’s take a look at the site’s determination of the best cheese for a grilled cheese sandwich. As one might suspect, simple, straightforward, and time-tested cheeses take top honors. Cheddar, Monterey Jack, and mozzarella are the big winners, while more challenging cheeses like Limburger and boursin round out the rear. Hovering in the middle are what some fans of upscale grilled cheeses might name their favorites: Brie, fontina, and Havarti. If you’re not happy with the results, then tough luck, cheesehead. This list is closed, and if your cheese isn’t well-represented, it’s your fault for not pounding the pavement and volunteering at your local call center. You could complain about it online, or you could adopt some of our tips and tricks for perfecting the sandwich and subsequently eat your feelings.